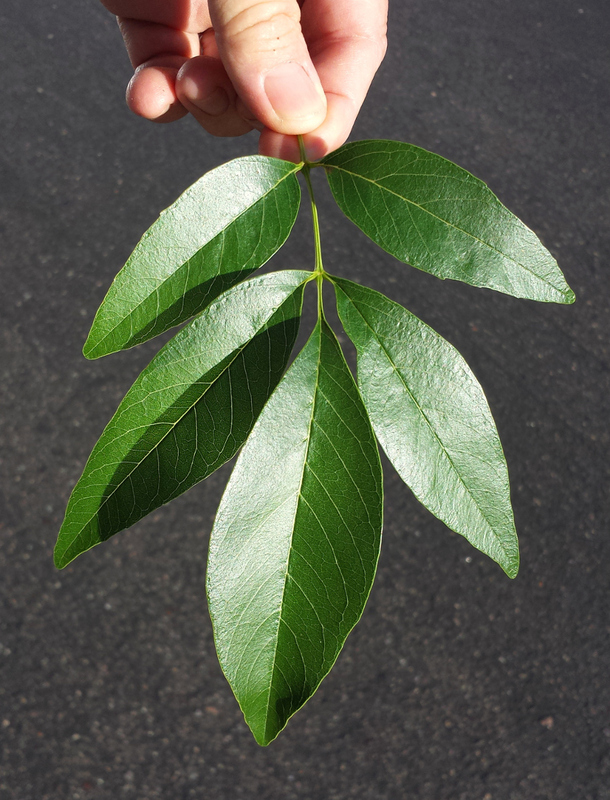 Common: Arizona ash, also called velvet ash, Desert Ash, Leatherleaf Ash, Smooth Ash, Toumey Ash or Fresno ash. Origin: Found in foothills and lower mountain canyons of Southwest America from California to Texas and north into canyons and riverbanks of southcentral Utah and southern Nevada. Also found in Coahuila and Tamaulipas, Mexico. In Arizona native to riparian areas between 3,500 and 7,000 feet elevation. Landscape Use: Deciduous shade tree, residential and commercial mesic landscape design themes, lawn tree. Form & Character: Upright, rounded and open, clean looking, stately, but not majestic like Fraxinus uhdei; seasonally changing. Growth Habit: Woody, deciduous perennial tree, moderate growth rate to 40 feet with less than or equal spread depending on cultivar. Foliage/texture: Dark green, glabrous, pinnately compound leaves, mostly 5 ovate to lanceolate leaflets per leaf, leaf margin slightly serrate, trunk and branches smooth and light gray when young changing to rough and dark with age; medium texture. 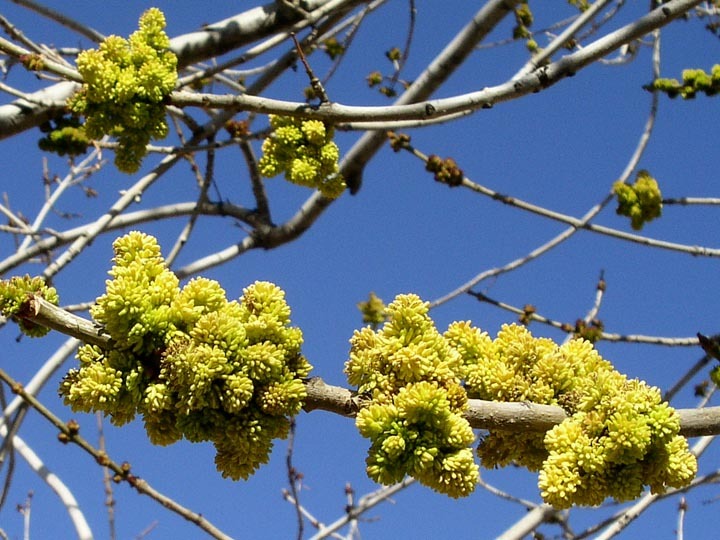 Flowers & fruits: Dioecious, flowers inconspicuously grown on separate trees in late winter just before or at leaf emergence, fruits are winged achenes. 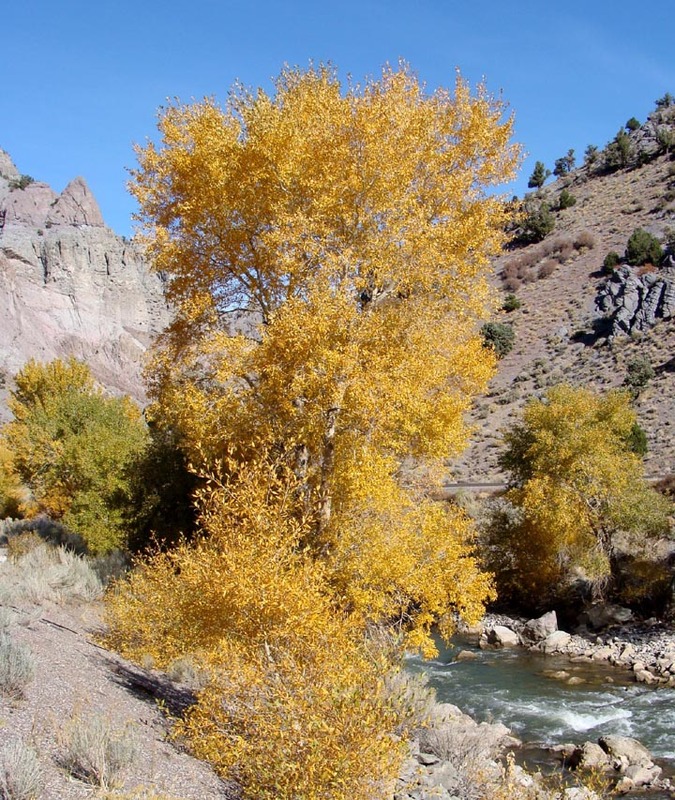 Seasonal color: Flaming golden yellow fall color (on the banks of the Sevier River in south central Utah) during October to January depending on site location and elevation; mostly December in Phoenix. 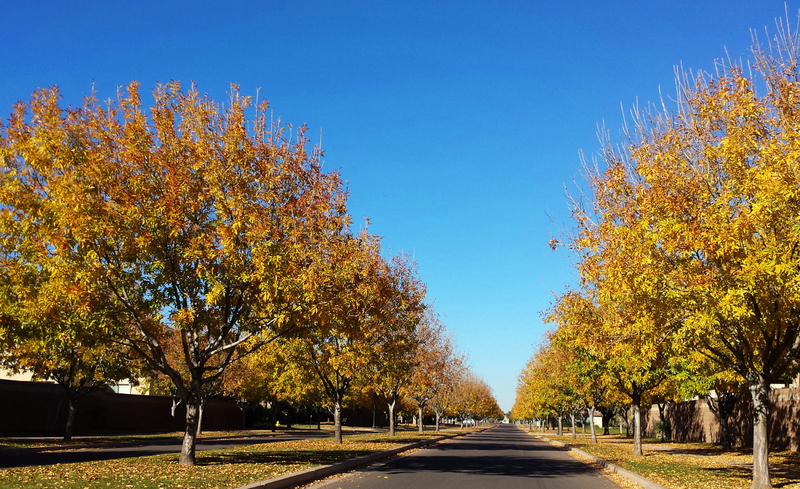 Temperature: Arizona ash is tolerant of desert heat only if the canopy is full, vigorous and spreading. 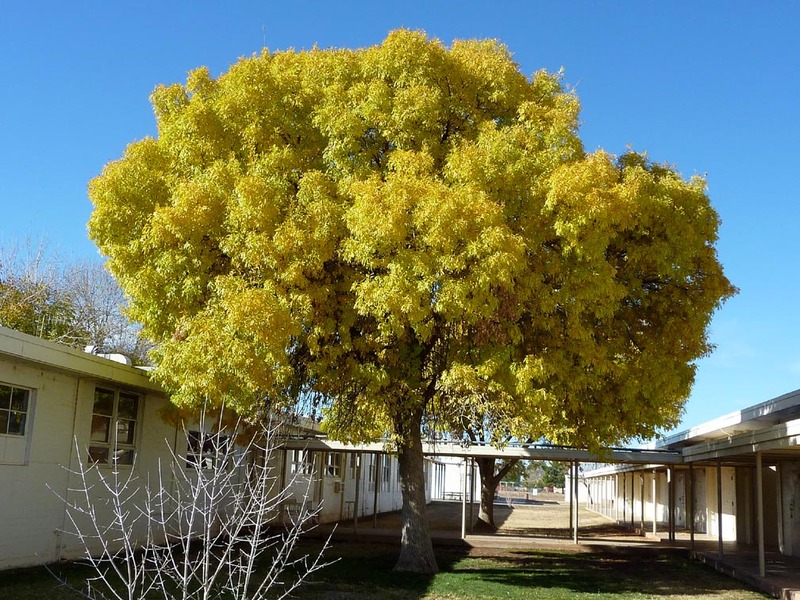 If not a full and vigorous canopy of foliage, then Arizona ash is prone to trunk sunscald if exposed to desert summer temperatures plus direct and/or reflected western sunlight. Light: Full sun, although I feel led to repeat myself 'like a broken record' that Arizona ash is highly susceptible to trunk scald from western sun in Phoenix if its canopy of leaves is 'skimpy'. Soil: Tolerates alkaline, desert soils. Watering: Regular water best, will tolerate variably some drought depending on soil type. Pruning: Elevate canopy base (raise the crown base) only slowly over time only as high as needed. Young trees do not need staking. 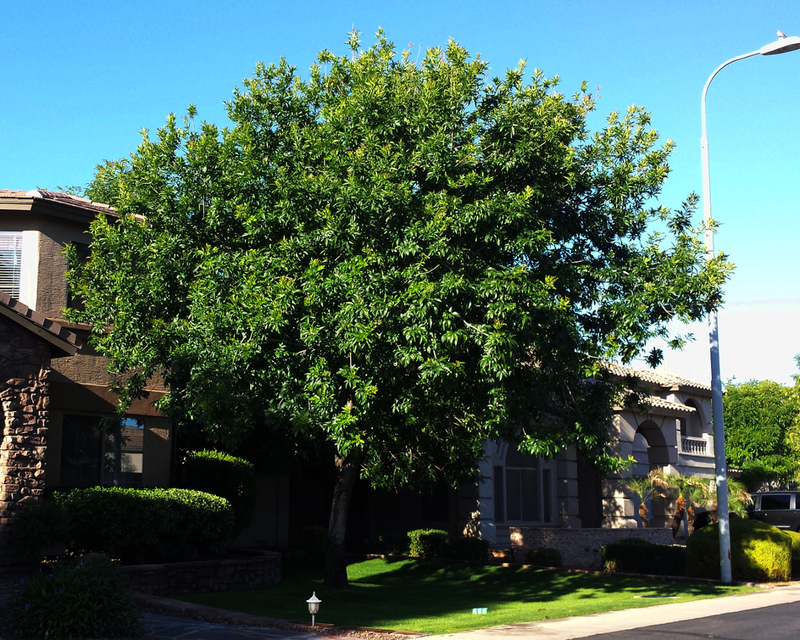 In Phoenix, DO NOT crown thin Arizona ash trees in Phoenix!! Do this and it's the 'Kiss of Death'. Disease and pests: Scale and aphids are minor cosmetic problems that appear on ash tree foliage only during in early spring. Ash decline (Phytoplasma organism) in contrast is a progressive, lethal problem that will generally slowly kill otherwise healthy trees over a 5 to 10 year time span. In Phoenix, ash decline is mostly localized in pockets around the metropolitan region spreading geographically relatively slowly. Symptoms of this disease are leaf discoloration and small branch dieback showing each year in mid summer. 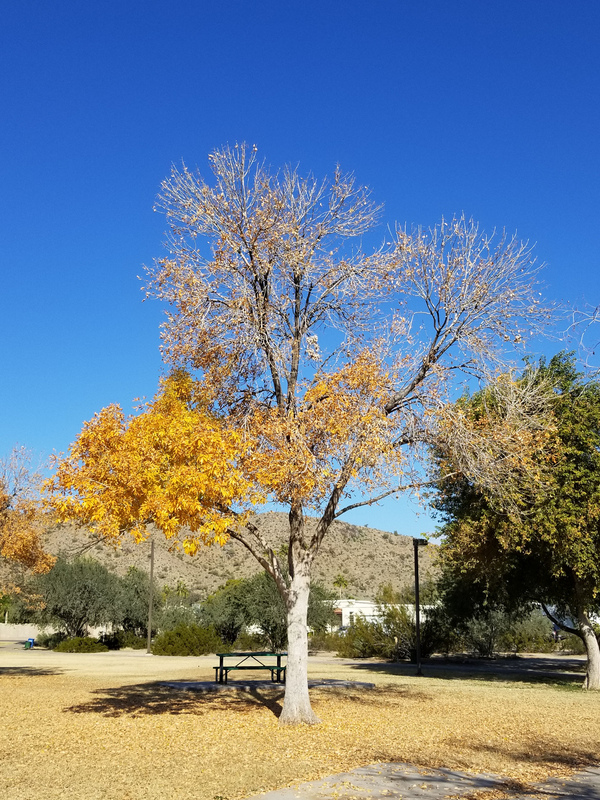 There is no cure for this disease and Arizona ash trees ( are also highly susceptible) with ash decline should be well fertilized and irrigated to prolong their eventual demise. F. uhdei (Shamel ash) is resistant to ash decline. 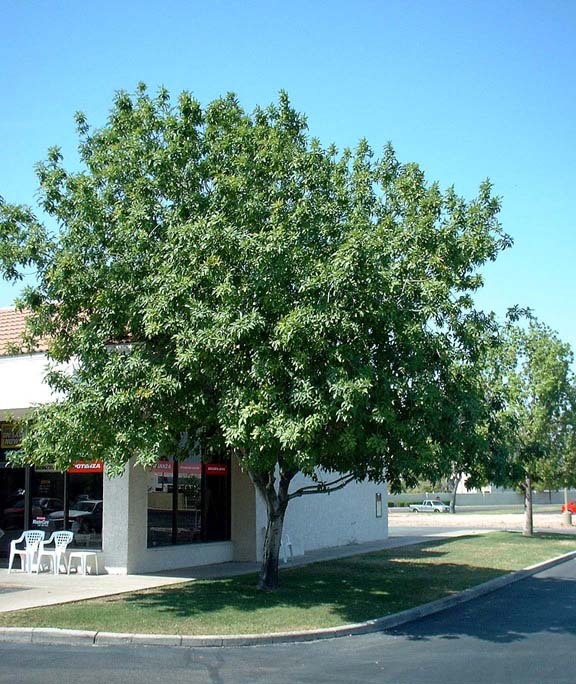 Fraxinus velutina coriacea �Bonita� (Bonita or Montebello ash) - Broadly oval to mushroom shaped form, broader than tall, golden yellow orange fall color. Fraxinus pennsylvanica lanceolata x Fraxinus velutina glabra 'Fan-West'@ (Fan-West ash) - A seedless cross of Texas green ash and Arizona Ash, light olive green leaves on a good limb-head structure. Round and upright form with 7 olive-green leaflets per leaf. It was found by Eddie Fanick of San Antonio, Texas as a natural seedling on the banks of the Guadalupe River in Texas. Most think this tree resembles F. pennsylvanica lanceolata more than F. velutina. For propagation, it's usually budded onto F. velutina seedlings. 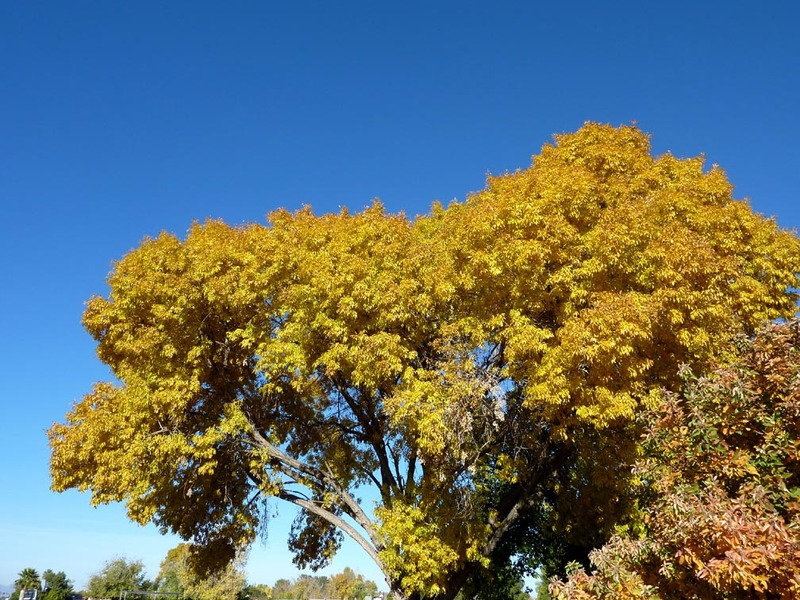 In Phoenix, Arizona ash gives a dependable show of yellow to golden yellow fall color during late November and December; however, its use in Phoenix landscapes is dictated by local presence of Ash decline. If Ash decline is present in surrounding neighborhoods, then I would not recommend the planting of Arizona ash.